One amputated foot with protruding bone. 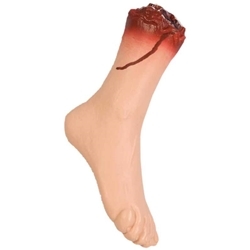 Severed at ankle. Good as a graveyard prop or zombie lunch!